We can't imagine living without our slow cooker. We've come to depend on it for making just about everything, and it definitely makes cooking dinner easier. After all, who among us really has time to spend hours in the kitchen watching a pot or checking the oven every few minutes? We love slow cookers because you can add the ingredients, set the temperature, and then let the slow cooker do all of the work for you. However, as with anything, it's easy to take it for granted and get so comfortable using it that you start to make simple mistakes that really interfere with the quality of your food. We've even made some of these common mistakes ourselves, and were surprised that we'd been using our slow cooker wrong all these years. We have three of the top errors people make, and how to fix these mistakes so that the flavor and texture of your food don't suffer. 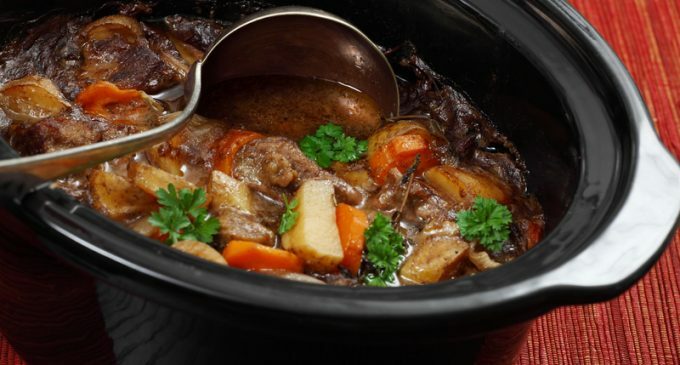 To learn three of the top slow cooker mistakes and what to do instead, please continue to Page (2) for the list.